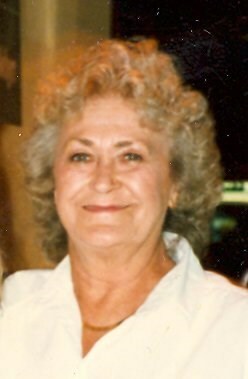 Bernadine Ann Hill, 71, 2190 Dry Creek Road, died Thursday, November 29, 2007 at the Johnson City Medical Center. Mrs. Hill was a Highland Park, Michigan native and had lived in Johnson City for several years. She was a daughter of the late Robert and Daisy Allen Paquette and was preceded in death by one son, Michael Hill. Mrs. Hill was retired from Levi Strauss. Survivors include her husband, Bob Hill, of the home; daughter, Monica Clawson and her husband, Joe, Johnson City, son, Mark Hill and his wife, Angie, Johnson City, daughter, Marcie Littleton and her husband, Tim, Johnson City, daughter, Melody Peters and her husband, Ricky, Johnson City; grandchildren, Angela Hobbs, James Murray, Shannon Clawson, Brett Hill, Amber Shay, Michael Hill and Tonita Hill and several great grandchildren. It was Mrs. Hill&apos;s wish to be cremated. Family and friends may call at the residence at anytime. No services are scheduled.